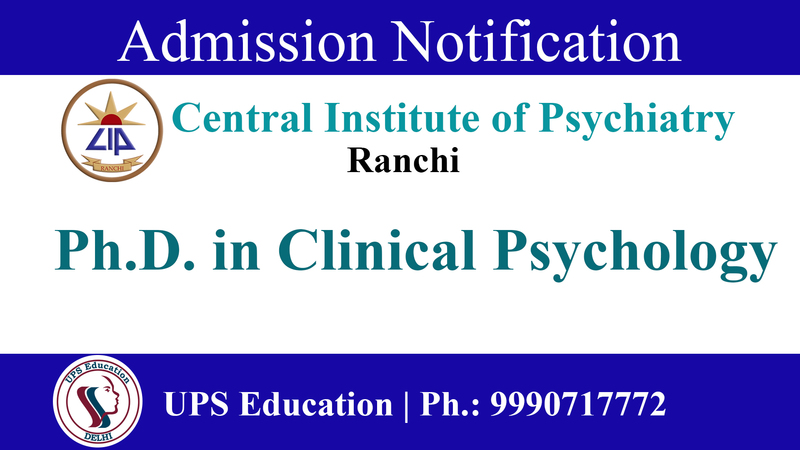 Hello Dear Psychology Students, have you filled the applications forms of NIMHANS, CIP, RML and Manipal University for your M.Phil Clinical Psychology Entrance 2018. If not filled please fill your application form as soon as possible. Do not miss the chance of admission in this year. It is the right time to start your preparation for your M.Phil Clinical Psychology Entrance 2018. A systematic approach of study and regular practice can increase your chance of success. 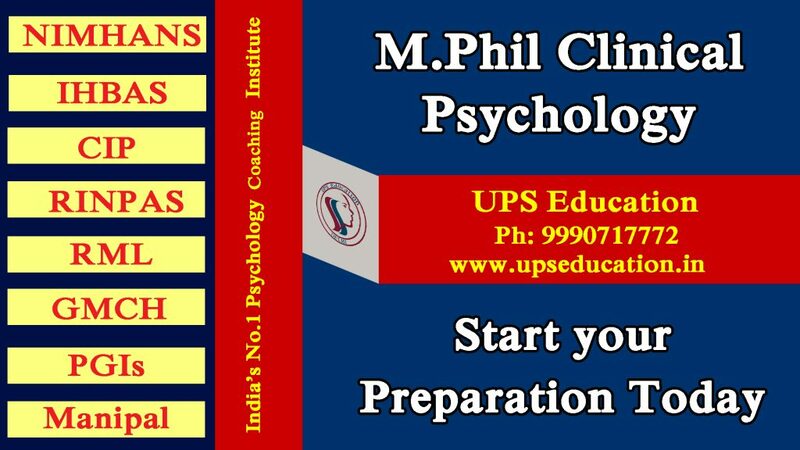 You may contact UPS Education for any guidance and help for your M.Phil Clinical Psychology Entrance Examination. UPS Education is India’s Leading Institute for Psychology Entrance Exams Coaching Classes and as well as for Distance Learning Mode Coaching. 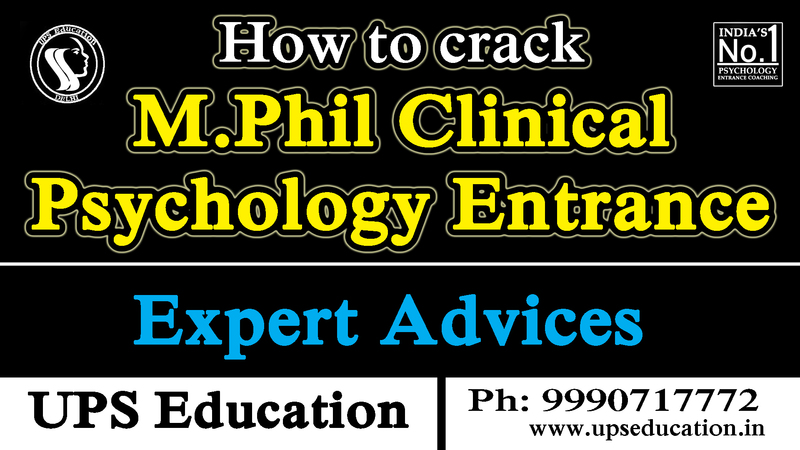 This entry was posted in Coaching for M.Phil Clinical Psychology Entrance, m phil clinical psychology coaching, M. Phil Clinical Psychology Coaching, mphil clinical psychology entrance, एम फिल क्लिनिकल साइकोलॉजी, एम फिल नैदानिक मनोविज्ञान and tagged CIP Psychology Admission 2018, dr. ram manohar lohia m.phil clinical psychology entrance, m.phil clinical psychology entrance 2018, nimhans m.phil clinicla psychology entracne 2018, rml m.phil clinical psychology entrance on February 23, 2018 by UPS Education. Understand the syllabus: Knowledge of complete syllabus is must if you are preparing for any Entrance Examinations. You can ask for the syllabus to your teachers/mentors or you can contact to the university. Do not follow the syllabus given on multiple websites because it will only create confusion for you. 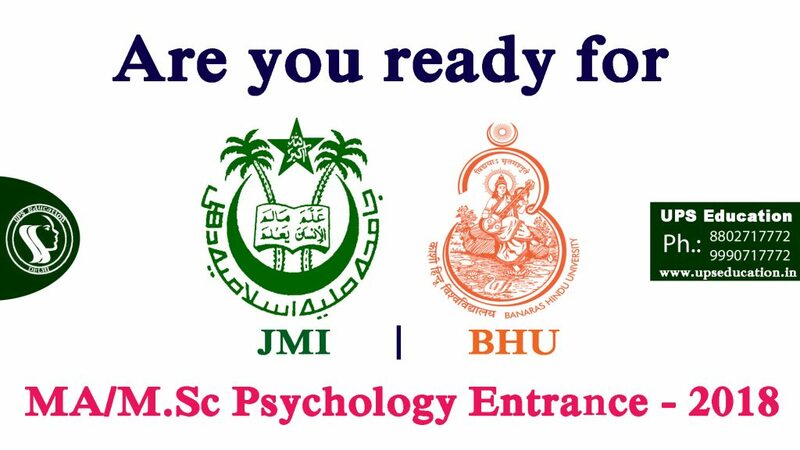 Interact with psychology groups: Try to involve in Psychological environment means where number of candidates are appearing for M.Phil Clinical Psychology Entrance. It helps you to collect relevant questions for your practice. In addition, competitive environment will motivate you. Solve Model Question Papers: Practice is a key of success for any Entrance Examinations. Practice can boost your confidence before the exam as well as at the time of Examination; it will help you to manage your time in examination hall. Discussion can enhance your knowledge: Always discuss your doubts/problems with your teacher because in Psychology there are multiple explanation for the same question, only your teachers can help you to choose best explanation according to particular question. Start your Preparation early: Starting the exam preparation early will give you time to cover more concept/ Theories. It gives you proper time for revision that you have studied. Early starts provide you subsidiary time to focus on your weaker concepts. It will provide sufficient time for doubts. This entry was posted in mphil clinical psychology entrance, एम फिल क्लिनिकल साइकोलॉजी, एम फिल नैदानिक मनोविज्ञान and tagged how to prepare for m.phil psychology entrance, m.phil clinical psychology preparation tips on February 17, 2018 by UPS Education.